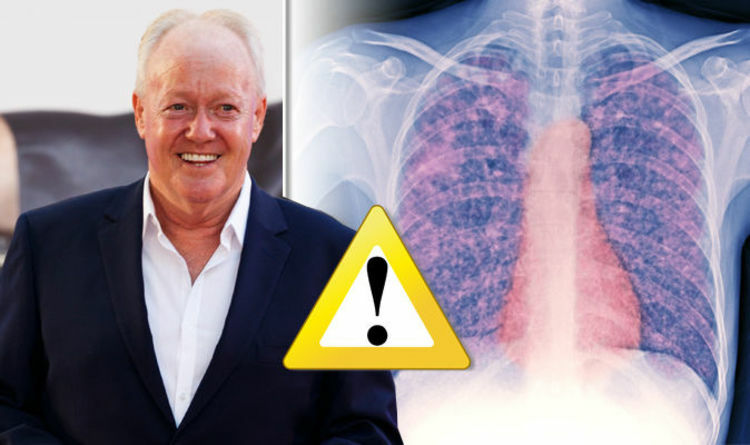 Keith Chegwin has died after a battle with idiopathic pulmonary fibrosis (IPF), his family announced today. The television presenter was 60 when he died after suffering with the progressive lung condition. The well-loved British TV star was surrounded by his wife and children. According to the NHS, the condition is where the lungs become scarred and breathing grows increasingly difficult. It is unclear what triggers symptoms, but IPF usually affects older people between the ages of 70 and 75. Common signs of the condition include shortness of breath, a persistent dry cough, tiredness, loss of appetite and swollen fingertips. While it is unclear exactly what causes the condition, IPF has been linked to a number of risk factors. The NHS state that viral infections and exposure to certain types of dust, such as metal or wood dust, can mean you are more likely to suffer. Additionally, being a smoker and suffering from gastro-oesophageal reflux disease (GORD) also increase your risk. Around one in 20 sufferers have another family member with the condition. Symptoms get worse over time, although the rate at which this happens varies from person to person. The NHS note that some people respond well to treatment and can live symptom free for many years, and they can reduce the rate at which it progresses. However, other people don’t respond well and their condition quickly worsens. Sufferers can also develop other problems, including chest infections, pulmonary hypertension and heart failure.